The School of Teaching and Learning has a principle of scholarship that blurs the lines between faculty research and teaching. In the work of Tim Jacobbe, the school’s associate professor of mathematics and statistics education, graduate students participate as colleagues, learning from their experiences while contributing to the research. 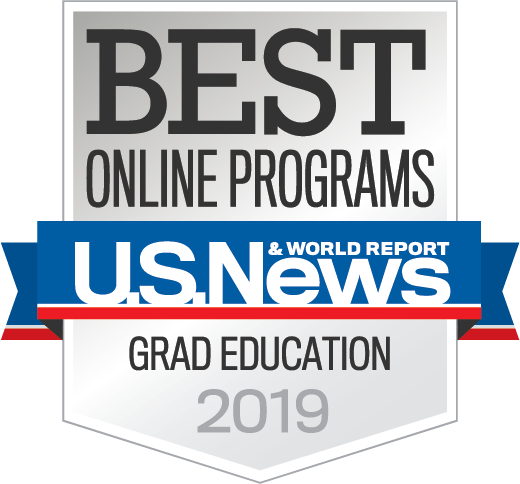 Jacobbe holds a Ph.D. in mathematics education but became passionate about statistics after working as a primary test developer for the AP Statistics program at the Educational Testing Service. He is currently the principal investigator of Levels of Conceptual Understanding in Statistics, a grant funded by the National Science Foundation. Jacobbe credits the principle of student involvement as a teaching tactic to Boyer’s domains of scholarship, which is included in School of Teaching and Learning documents and is introduced to graduate students upon admission to their programs. The idea is that a well-rounded education combines research, teaching and service. As a way of teaching, Jacobbe has his students join him in his research, and he not only encourages input, but he applies it too. Currently on his LOCUS grant, Jacobbe has his doctoral students developing assessments and grading tests, bringing their own specialties to the table. They also travel with him around the country to committee meetings, where they meet and engage with leaders in the field. Whether some students come into the program with a clear idea of what they’d like to do, Jacobbe chooses to guide them in a big-picture way. His holistic approach to guidance is a push for overall growth in the student’s developing professional identity. “My goal, no matter what the students say is their ultimate goal for their career, is to prepare them well enough that they get to make a choice in the end, so that if they change their mind about where they want to go, it’s not too late,” Jacobbe said. Part of what helps the students to develop who they want to become is putting them in situations very much like what they will be in later on. As the only professor specializing in statistics education in the College of Education, Jacobbe says he benefits from his students’ contributions, as the ideas they produce expand upon his thoughts alone. 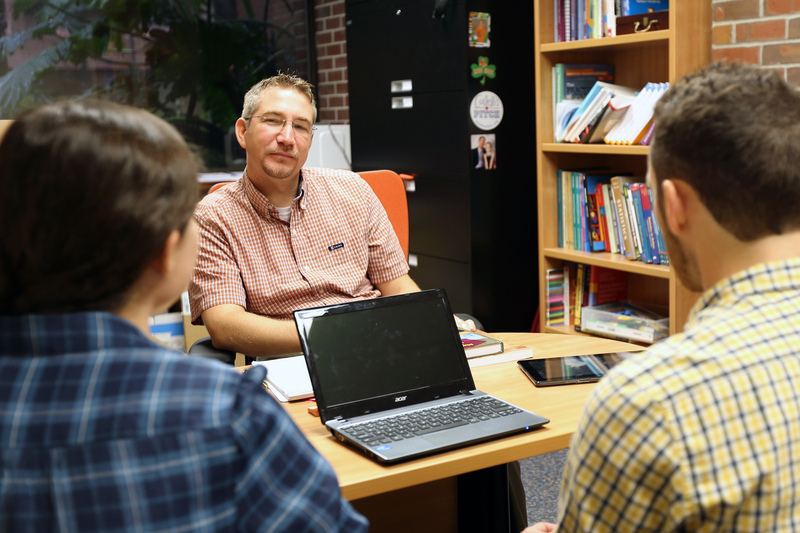 He provides mentoring but works with his graduate students as a team. At test development committees, the students debate like any other faculty and provide fresh observations. A few of those observations that the students have brought include perspectives on introductory statistics at the University of Florida, which Jacobbe hasn’t taught here since his work has been focused on K-12, and also ideas for increased content knowledge in teacher training. One of the students is interested in adult statistical literacy, bringing questions about how to work with citizens so they can make informed decisions in political elections. “We’ve all been really involved with the LOCUS project but also we get to come up with our own ideas for smaller projects, and we get to have the leadership role in those,” Case said. The end goal of Jacobbe’s current research is to change the way the teaching of statistics happens. Under the LOCUS grant, he and his graduate students administered assessments to 4,000 students across the country. They work to answer the questions: How do we get statistics education into the classroom? How do we train teachers to teach it? How do we assess it? His graduate students also teach. The P.K. Yonge Developmental Research School didn’t offer AP Statistics before last year, but Jacobbe’s three doctoral students co-taught the class with a P.K. Yonge faculty member for the first time. At the end of the year, 18 out of 21 of their high school students passed the AP exam, and a team of two students were selected for third place in the American Statistical Association project competition out of over 150 entries. 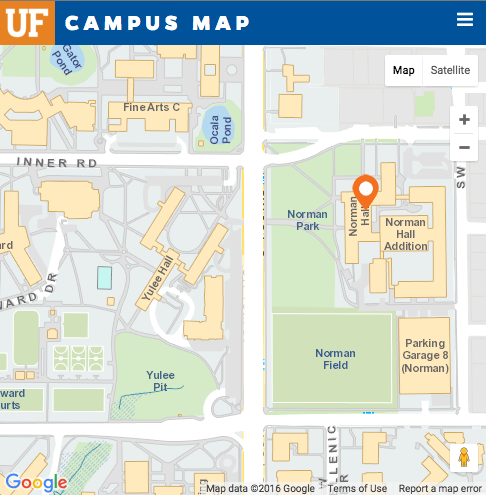 News Update, 10/15/14: Catherine Case, Steven Foti, and Douglas Whitaker — the three graduate students interviewed for this story — were selected to receive UF’s I-cubed Graduate Student Mentoring Award for the AP Statistics work they did at P.K. Yonge last year. The award will be presented on October 28th at the Graduate Student Research Day, where they will also be presenting.